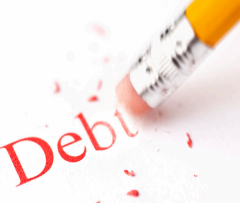 ECDPMGreat Insights magazineIs Debt Relief a Development Tool? External debt can be a heavy burden for development when debt service represents the major share of public spending and exports revenue of a developing country. Such a burden can reduce fiscal space and make developing countries vulnerable to external shocks. In this respect, debt relief is a sine qua non condition not only for a successful development financing strategy, but also for macroeconomic stability as it determines the ability of a country to implement countercyclical policies in the context of a crisis. 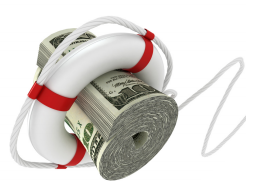 Nevertheless, a number of conditions are necessary for debt relief to be a real, long-term, development tool. 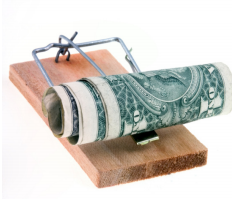 How does a debt arrangement scheme work? 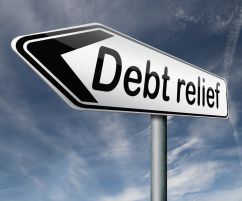 This article highlights five necessary conditions to make debt relief an effective development tool: additional revenue, the issue of vulture funds, public debt management, conditionality and the model of development promoted. Debt relief must ensure sufficient additional revenue to finance a development strategy. This is not the case when debt relief is only implemented to clear arrears that were not paid for. Nor is it the case when debt relief is coupled with a simultaneous decrease in the amount of Official Development Aid (ODA). Regrettably, such situations have occurred in the past in a number of developing countries. These countries were not able to take advantage of an additional amount to finance their development strategy, since the overall amount of ODA was reduced and/or the debt relief went to finance past debt, instead of new projects. Additional revenue can be available for development, only if it is not confiscated by vulture funds in the first place. Such funds seek to bring an action against a poor country after having bought discounted debt bonds on secondary markets, in the hope of making this country pay the nominal amount of the debt. Vulture funds are free riders that refuse to respect a debt relief agreement, taking advantage of the absence of a multilateral arrangement to deal with country debts. This phenomenon underlines the necessity to adopt a sovereign debt restructuration mechanism that includes all creditors at the multilateral level. Even when debt relief leads to additional revenue for a developing country, this will not be enough if the country in question does not promote sustainable public debt management. Indeed, an unsustainable debt burden is the consequence of wrong policies that have made a country unable to pay its external debt service. 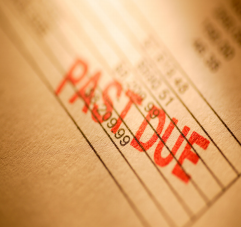 It is important to avoid repeating the same mistakes after debt relief. This means that debtors and creditors must respect responsible financing principles in order to ensure that the mistakes of the past will not happen again. This also means that a financing for development strategy should favour domestic resource rather than external borrowing. External borrowing makes developing countries vulnerable to external shocks, whereas domestic resource mobilization ensure more policy space and ownership to finance a long-term development strategy, without creating a new unsustainable external debt stock. 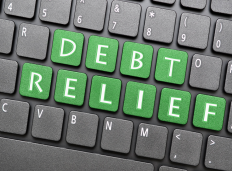 Debt relief is usually linked to conditionality imposed by creditors in order to ensure that the resources freed up will be invested effectively by the debtor. But past experience has showed that conditionality can be counter-productive when it means excessive austerity plans that worsen economic recession, unemployment and, eventually, lead to decreasing tax revenue and a growing fiscal deficit. Conditionality, undermining policy space, should ultimately be avoided. Finally, the effectiveness of debt relief depends of the model of development it is meant to support. The best way for debt relief to support development effectiveness is to be invested in the strengthening of productive capacities and the creation of decent jobs, enabling a sustainable economic development process that ensures enough tax revenue to finance social sectors in the long term. This type of development model that promotes domestic savings does not make developing countries dependent on external aid or debt relief to finance their social development. Debt relief and development effectiveness are thus closely tied. In conclusion, debt relief can be an effective development tool, but only when accompanied by a set of conditions that will ensure that it supports an effective and sustainable development process. Arnaud Zacharie is Secretary General of the Centre national de Coopération au Développement (CNCD – 11.11.11), an umbrella organization of over 90 development NGOs, unions and learning institutions in Belgium.